According to a National Health and Nutrition Examination Survey, only 30% of Americans floss daily. That does not surprise me; the few times I’ve crammed one of those thin pieces of fishing line between my teeth, I’d been rewarded with nothing but pain and blood. Since I believe any form of self-inflicted torture to be silly, my attempts to floss were soon abandoned. But proper dental care is essential. Performed correctly, flossing removes the food particles that stick to teeth, preventing the creation of the bacteria that promotes inflammation and gum disease. 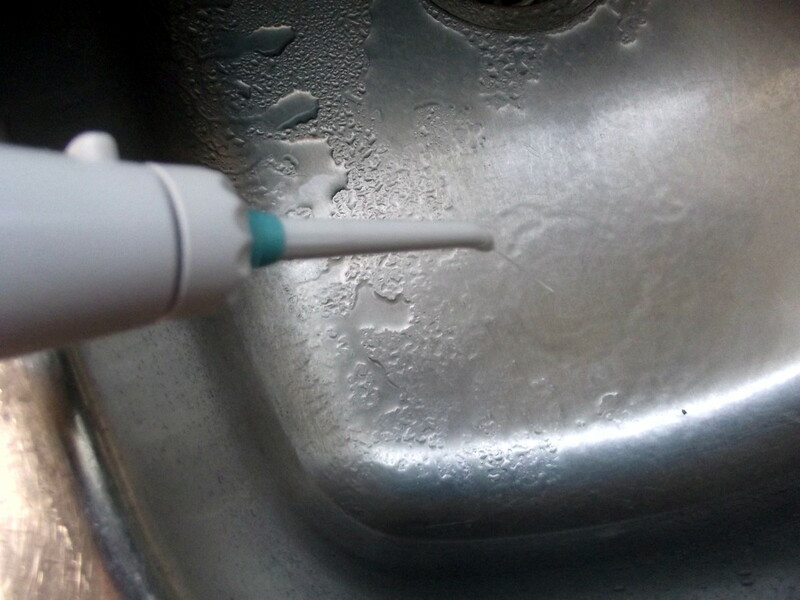 Left unchecked, colonies of bacteria (plaque) will harden into tartar, wearing away the gums and bone. This eventually results in tooth loss. Lately, the health of my teeth has become an issue. 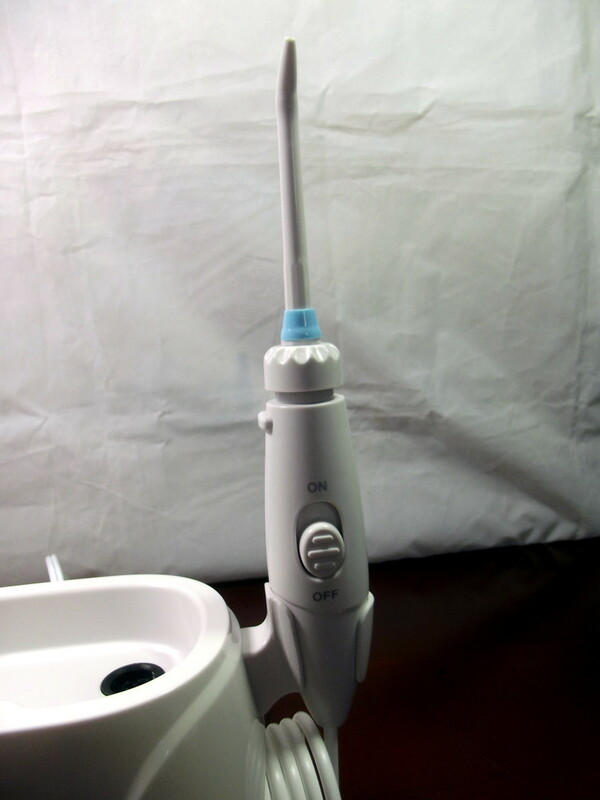 A new and fancy sonic toothbrush helped but failed to solve the problem entirely. I decided to try a water flosser. Surely, pulsating water would not hurt near as much as a thin piece of Teflon line? 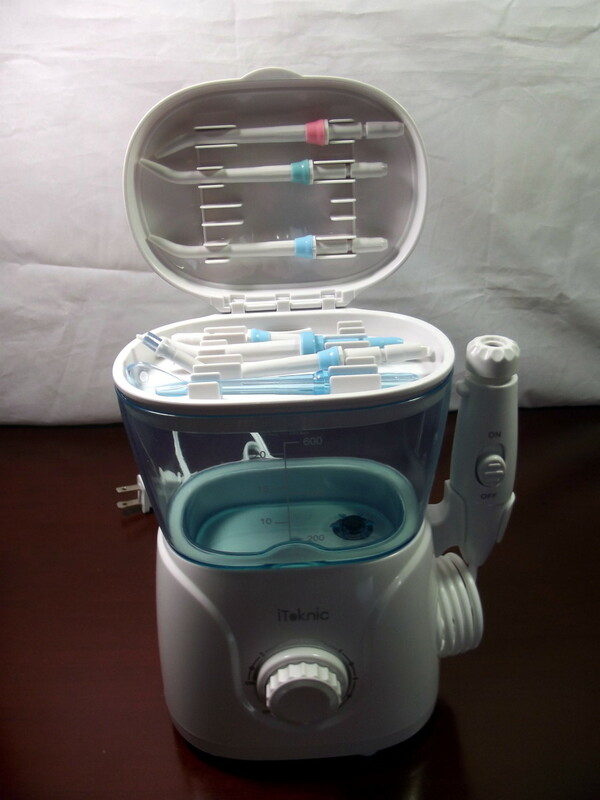 After checking out several devices, I chose iTeknic’s Oral Irrigator. It appeared to be solidly constructed and was priced at less than half of what I’d paid for my Sonicare toothbrush. 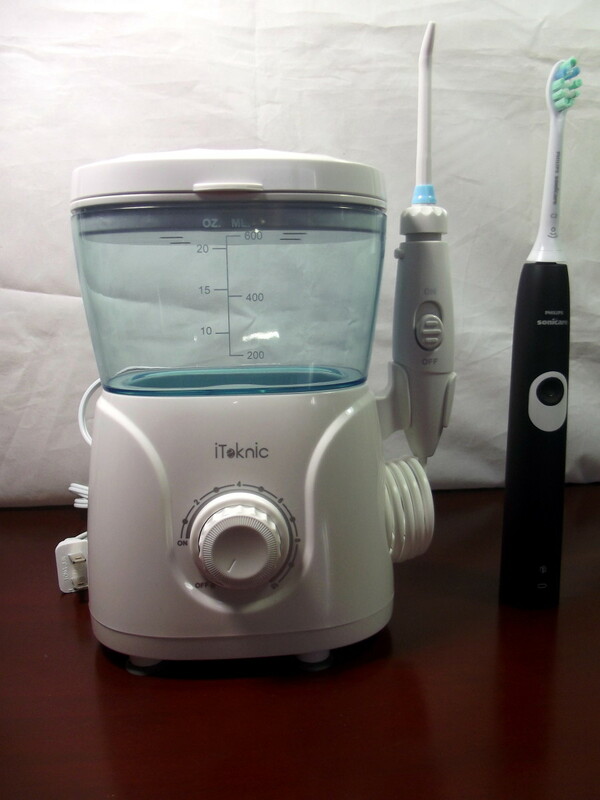 The iTeknic Oral Irrigator is constructed from ABS plastic and weighs 26.6 ounces. 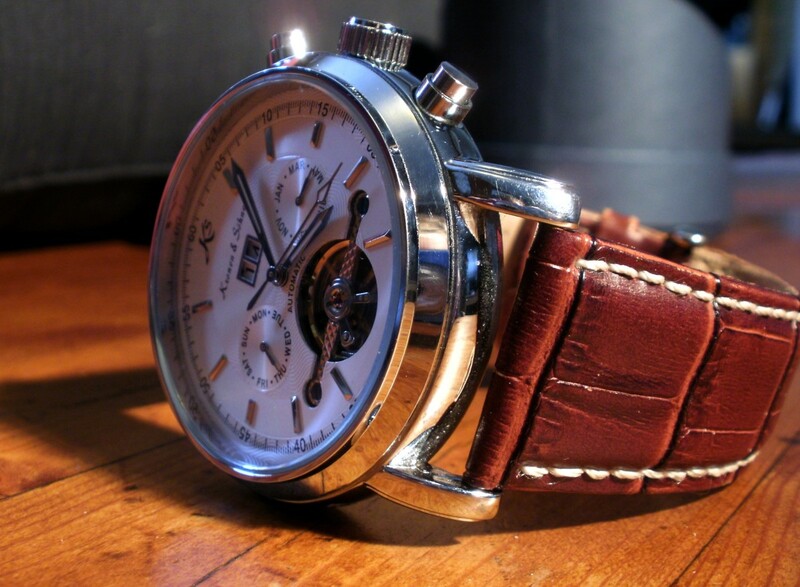 It is 5.4 inches wide, 4 inches thick, and slightly less than eight inches tall. 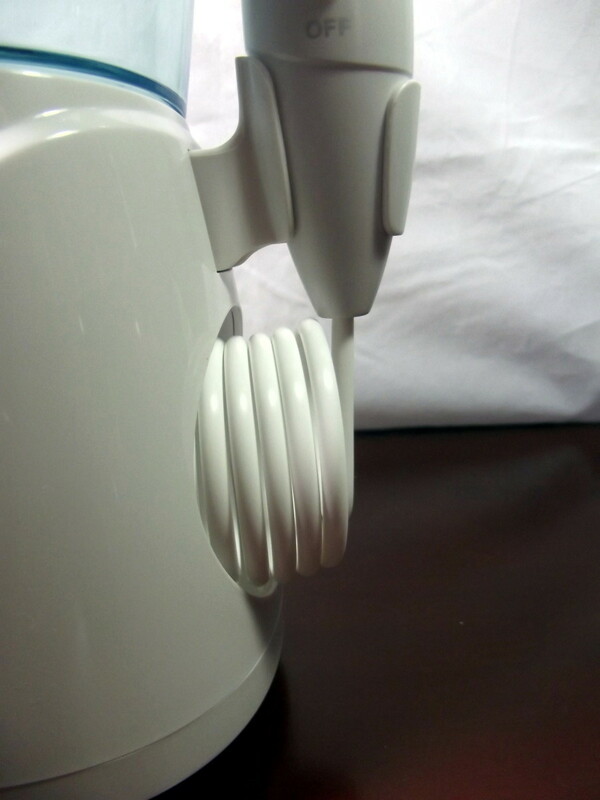 This flosser is equipped with a four-foot AC power cord. Rubber suction cups hold the main unit firmly in place. 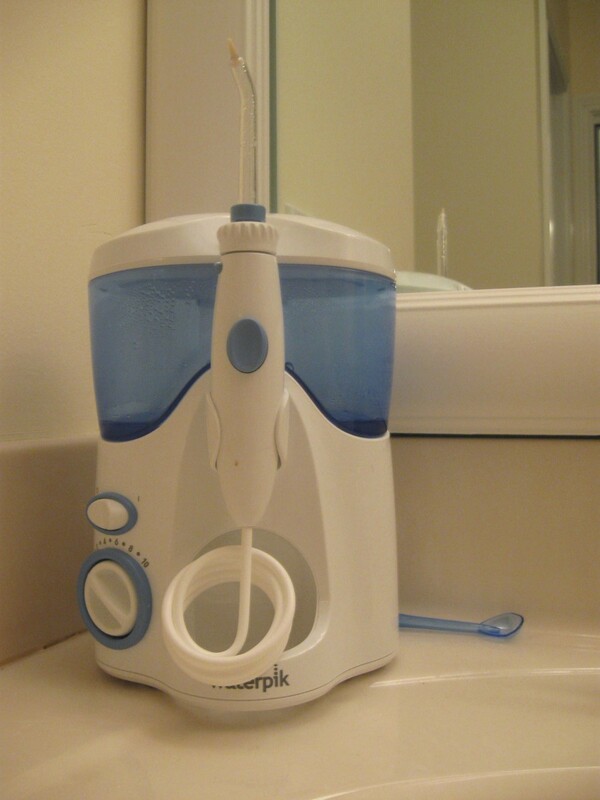 A front mounted rotary switch turns the flosser on and adjusts water pressure. 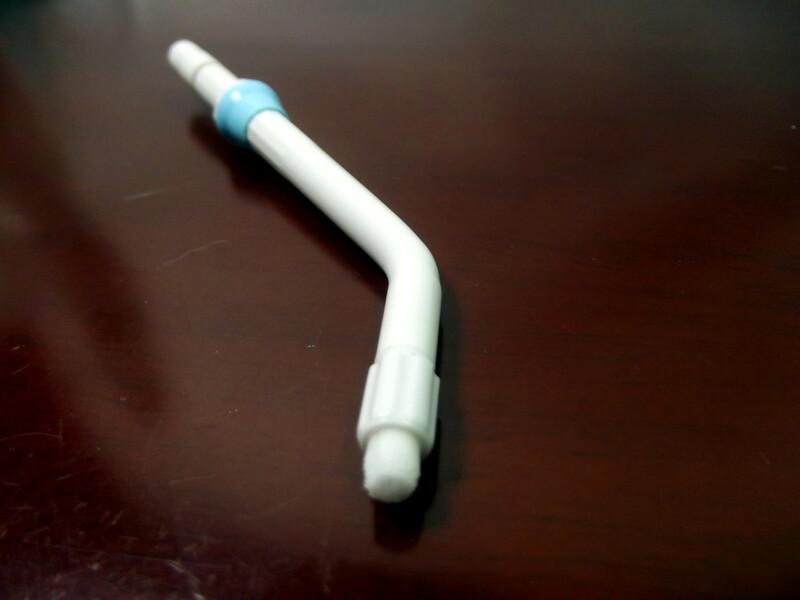 At the left side, a flexible one-meter hose is connected. 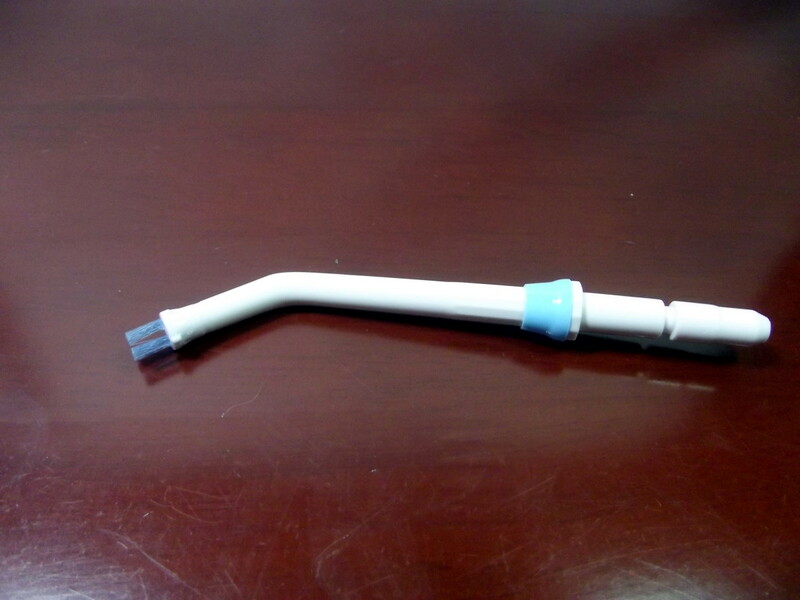 It leads to a handheld irrigation tool. 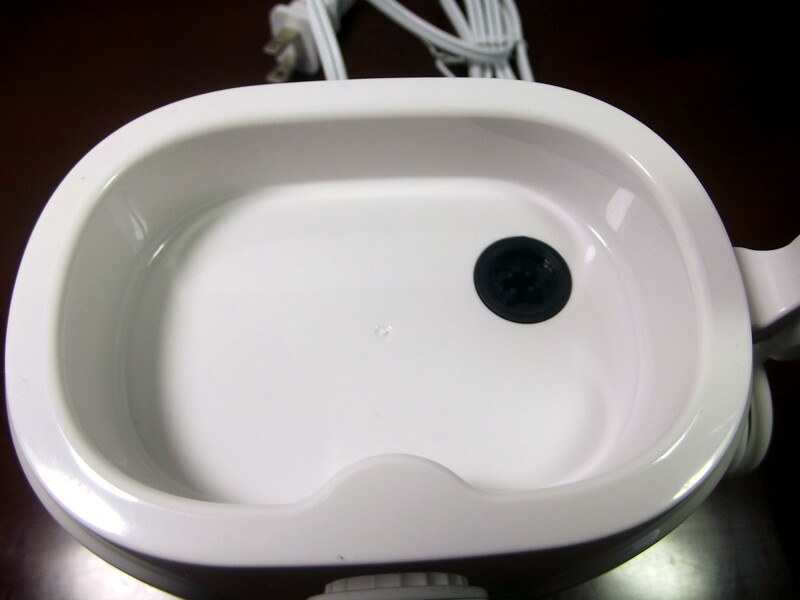 The irrigation tool is fitted with a button which allows quick insertion of the various tips. 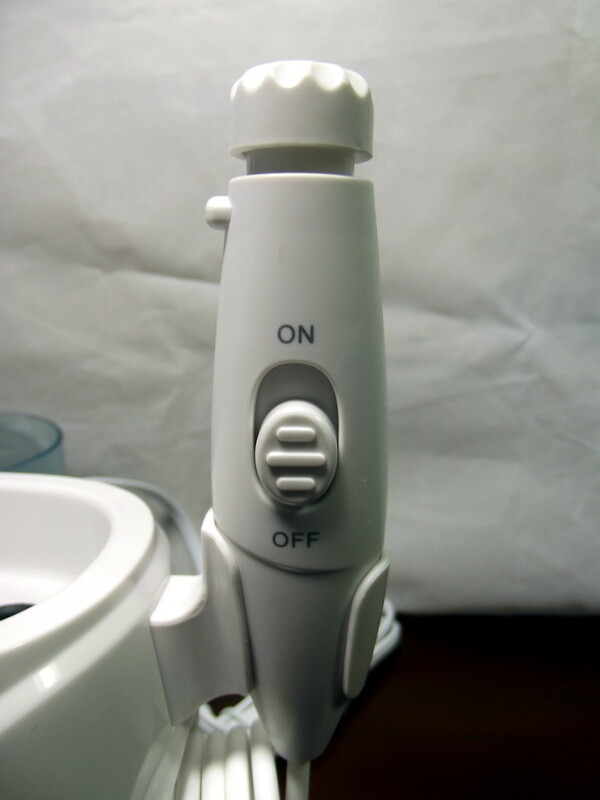 Water flow can be controlled using a sliding on/off switch. A 600-milliliter water tank sits directly above the main unit. 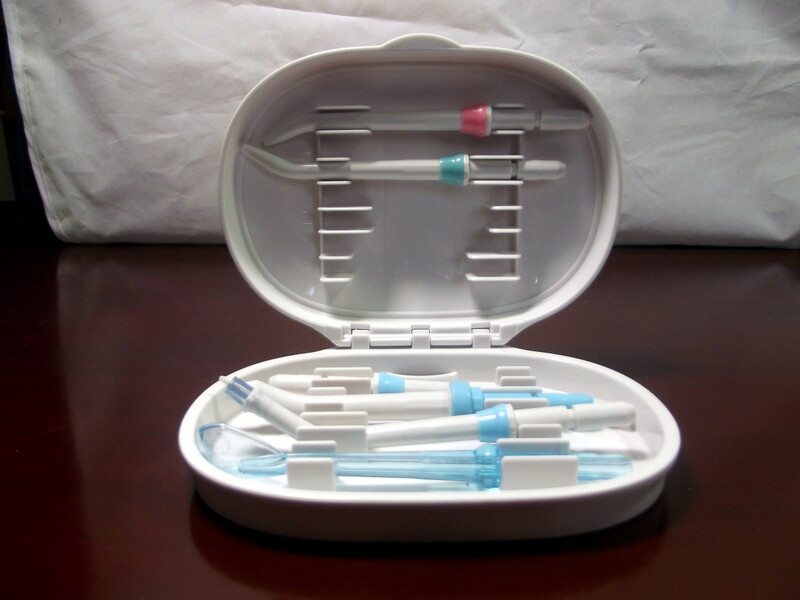 The tank’s cover consists of a clamshell type storage box containing a variety of spare tips. Seven water jet tips are included with this system. 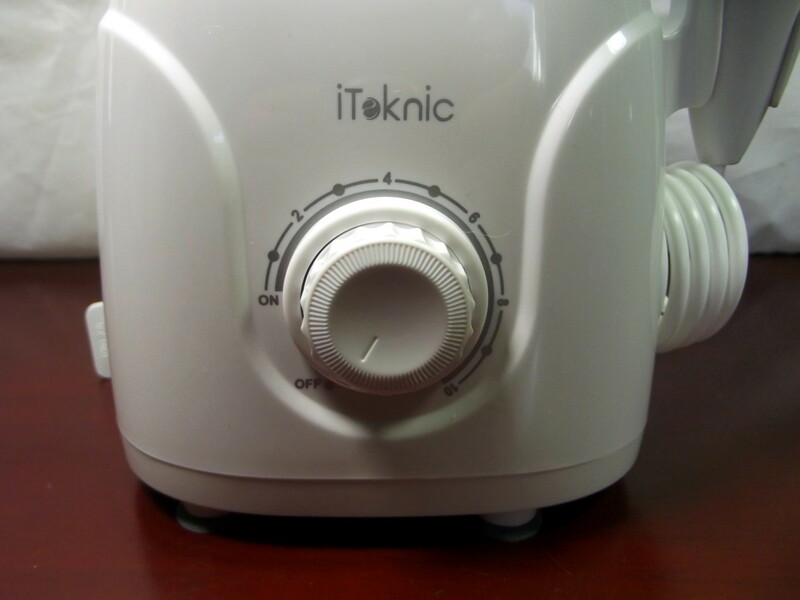 Iteknic is trademarked by Shenzhen NearbyExpress Technology Development Company Limited which is a division of the Sunvalley Group. 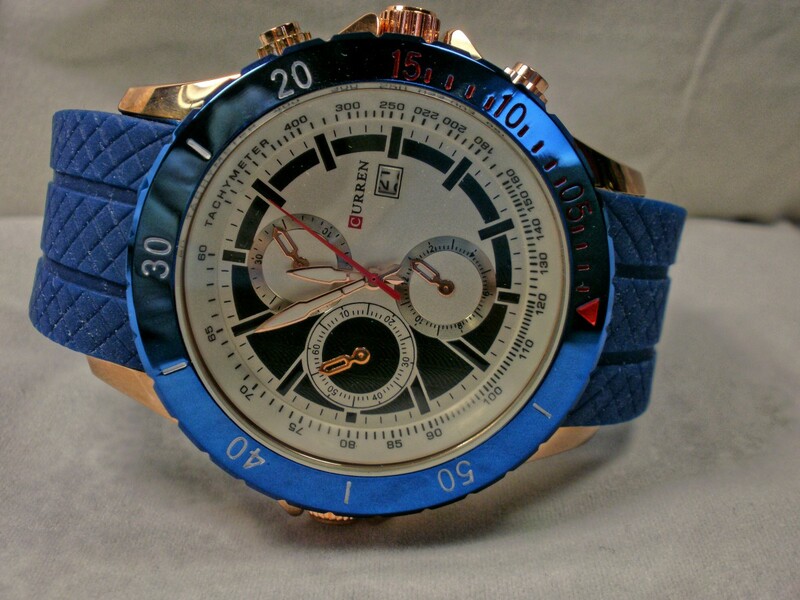 Sunvalley was founded in 2007 and is the brand owner of RAVPower, VAVA, TaoTronics, Anjou, Sable, and HooToo. 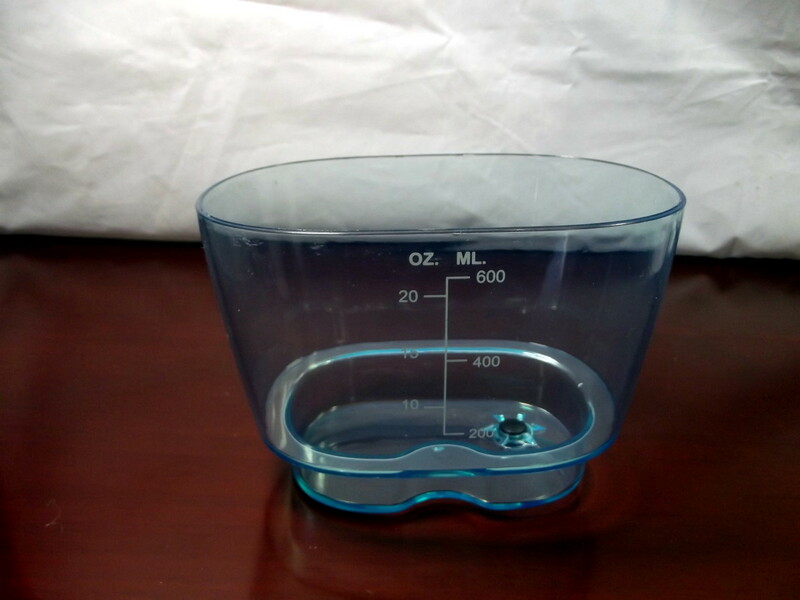 This company is headquartered in Shenzhen, China, and has subsidiaries located in San Francisco, Tokyo, Singapore, and Hamburg. 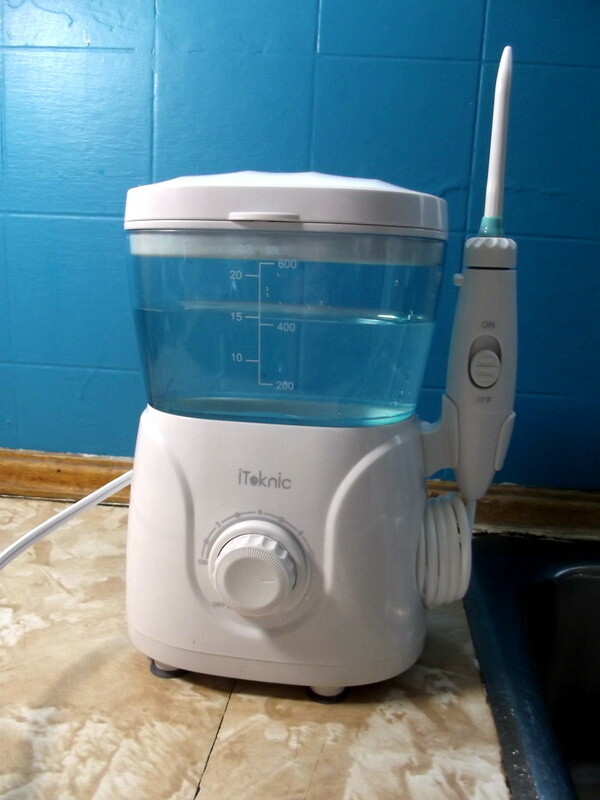 Those that floss generally use either a thin string or a device much like iTeknic’s Oral Irrigator. String floss is cheap and can be used practically everywhere. 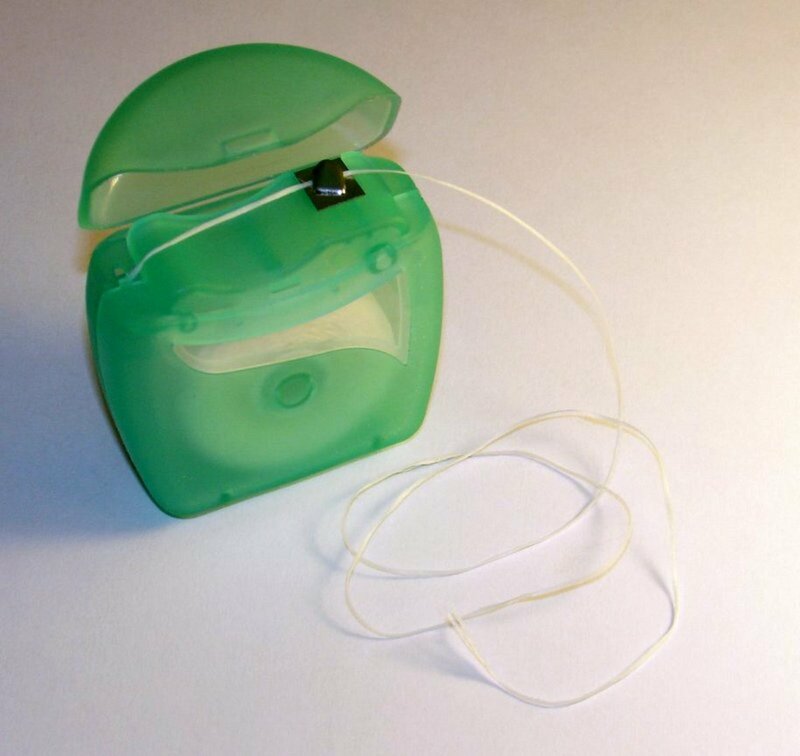 In this process dental floss is inserted between each tooth, gently scraping up and down its surfaces. 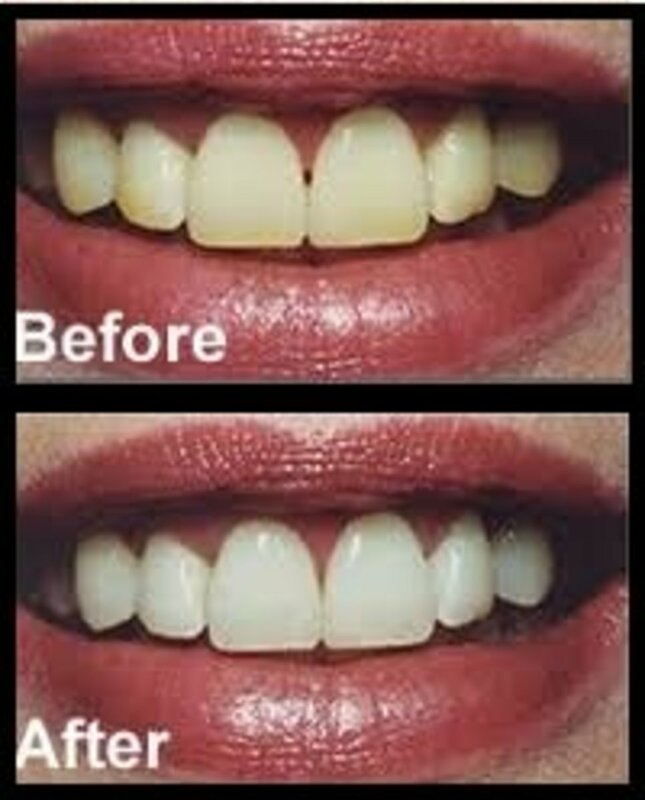 This removes plaque and food particles from the teeth and out from under the gums. If performed correctly, string flossing is very effective. 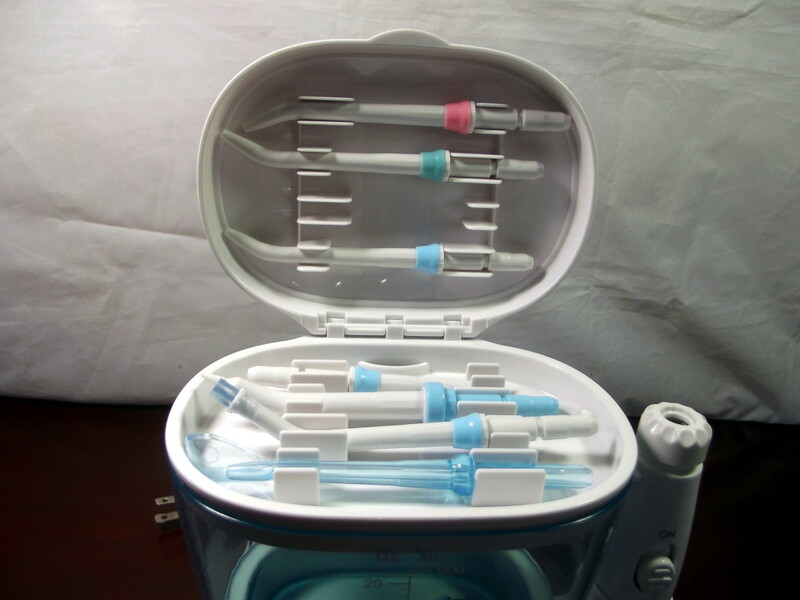 Water flossers are not particularly expensive but, because they require electricity and water, are less convenient than string floss. 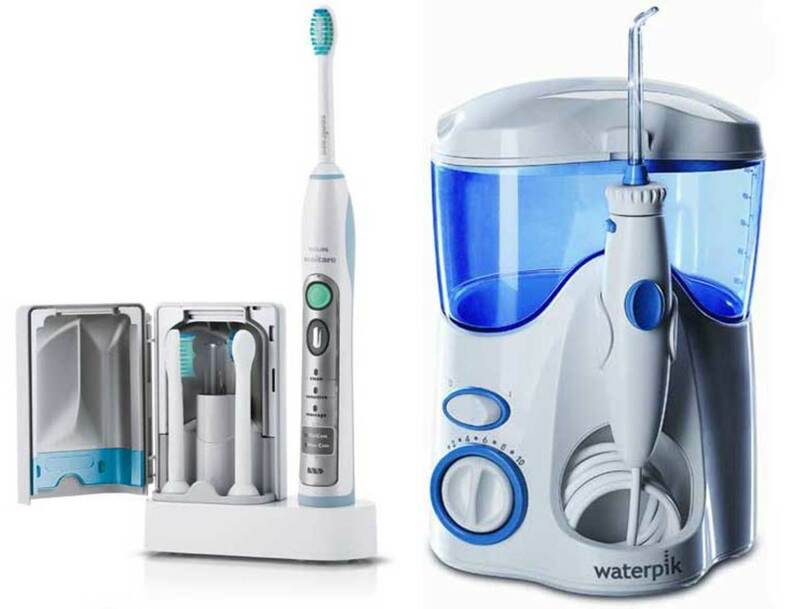 These devices generate pulsating streams of water which massage the gums and push food debris away from teeth. 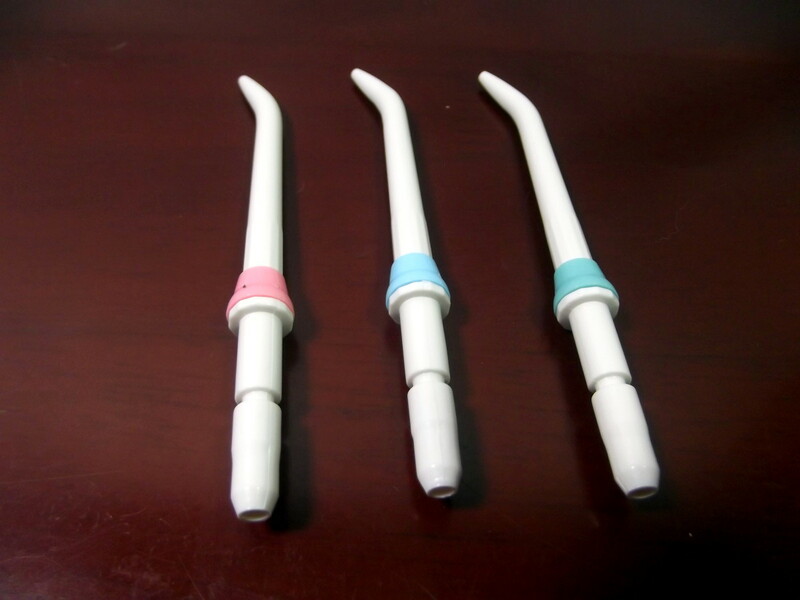 Water flossers tend to be less abusive to the gums than traditional string floss. Also, pulsating water streams can reach areas—especially for those with braces—that dental floss cannot. 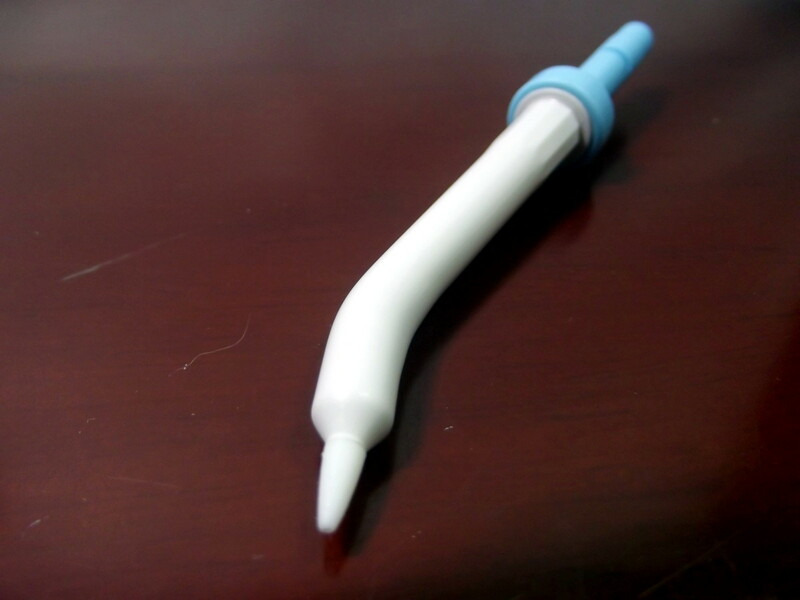 I filled the tank with lukewarm water, plugged in the Oral Irrigator, and inserted a classic jet tip into the irrigation tool. Then I shoved the jet into my mouth and turned the device on. At this point, I rotated the variable switch to the number two position. The pump rumbled quietly for a moment and then stopped. After I turned on the irrigation tool, a weak stream of water bathed my teeth. 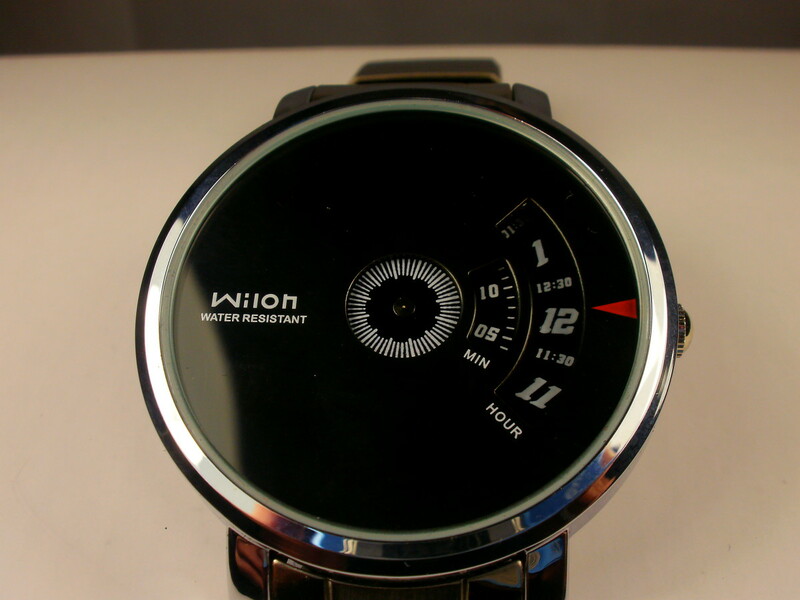 As I continued to rotate the variable switch clockwise, both the water pressure and frequency of pulses rose. At position six, the water stream was comfortable and strong enough to wash away most of the debris stuck between my teeth. 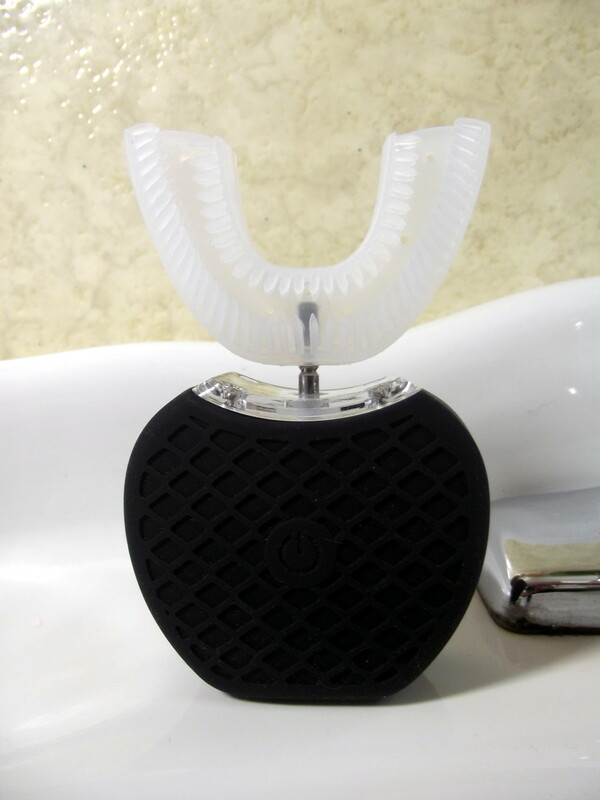 At position eight, the pressure against my gums was no longer quite so comfortable. The pulsating stream of water, however, did a great job of clearing my teeth of debris. By the time I’d reached position ten on the dial, the pump was on continuously, and both pulse rate and pressure were very high. I found this setting uncomfortable and decide to return to the eight position. For me, this represented the best compromise between efficiency and comfort. I initially thought the four-foot power cord to be a bit short. During my tests, however, the length proved to be adequate. Build quality is excellent, and I expect that both the machine and its accessories will provide yeoman service for several years. The classic jet tips and tongue cleaner were very effective. I did not use the three specialized tips. 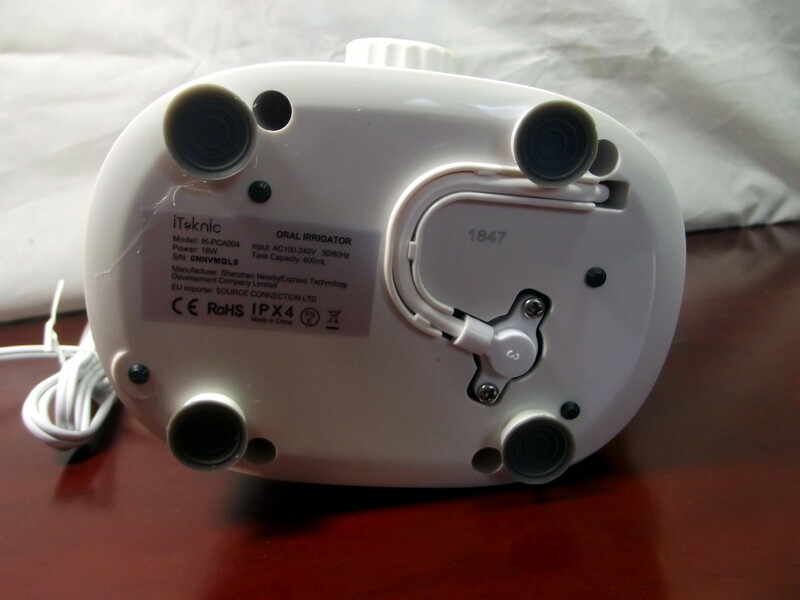 The rotary dial ensures every user can select the most suitable pulse rate/pressure. To ensure cleanliness, I recommend running a little vinegar through this system once every month. 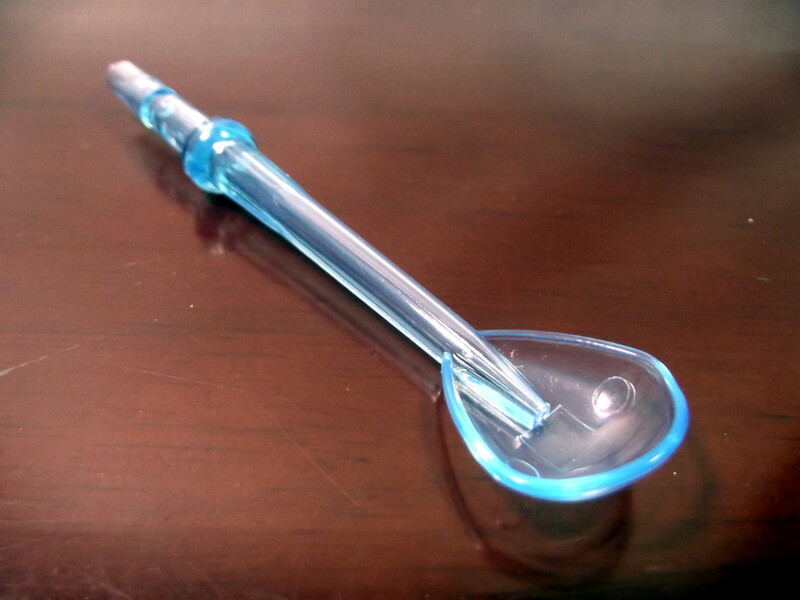 This device is well built and effectively clears away the debris between my teeth and under my gums. Unlike previous attempts to perform this action with string floss, the experience was pain and blood free. 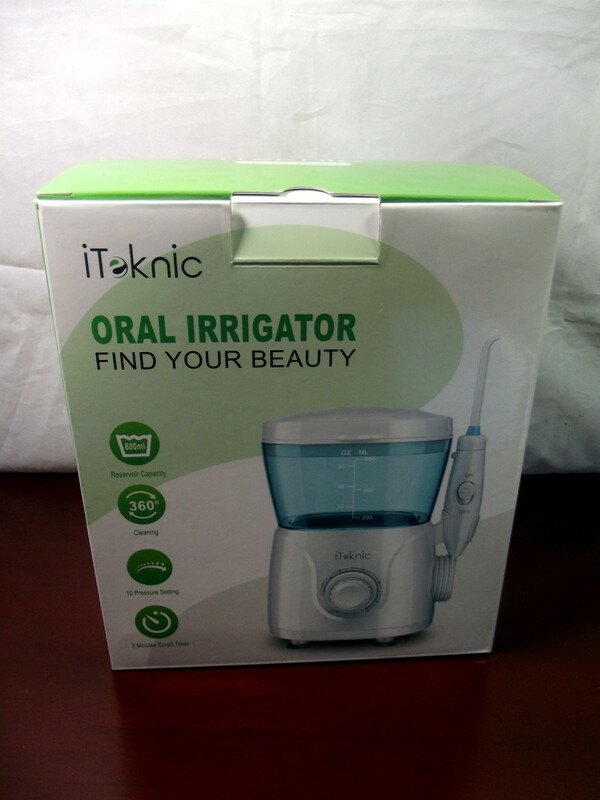 The iTeknic Oral Irrigator is highly recommended. I am conducting a poll to determine my reader's opinion on the subject of flossing. Results from these polls help me select future devices to review. What is your view on the subject of flossing? Too much work for minimal results. I don't floss. I'd like to floss but don't have the time.